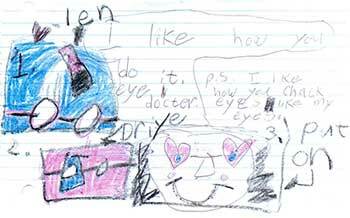 We receive wonderful and warm "Thank you" cards and notes from our patients, their families and friends. Thank you for taking your time to praise our staff. In the two years we have been in FL, this office was the only one that from when we walked in until going out was professional, pleasant voice tones, clean, and moved through steps in an organized way. Thank you for restoring the gift of sight. My case was a tough one but you saw it through. One of the best doctors I have met over the years, including when I was working. Dr. Dunn is compassionate, has empathy, and is willing to take time to explain and answer questions. Dr. Houston has a wonderful demeanor! He was comforting, supportive, and informative. I will recommend Dr. Houston to friends and family. Thank you for helping my mother. I will never forget your kindness you showed her. 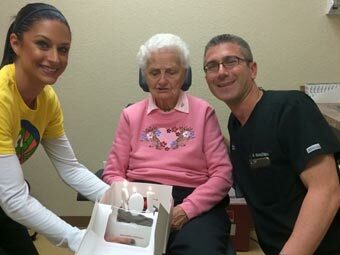 Doctor Mavrofrides congratulating a patient to her 102nd birthday. Thank you for taking care of my eye. I was so scared. You are giving a priceless gift of sight again. We all say thanks! I appreciate my eye treatment and I can see better. Keep up the good work. 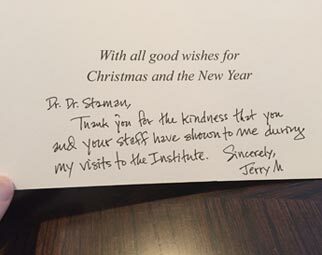 Thank you for the kindness that you and your staff have shown to me during my visits to the Institute. Sincerely, Jerry M.
"Great office, staff, Doctor. Everyone was prompt, pleasant, and knowledgeable. Thank you!" Gail K.
"We were very pleased with every aspect of your practice. Thank you so much for your efficiency as well as treating your patients with respect, kindness, and a cheerful attitude." Robert A. "Very pleased about staff being prompt and on time. Thanks!" Edwin F.
"Great experience. I went to two other Doctors prior to FRI and was HIGHLY disappointed. Your staff was beyond courteous and answered all my questions. My appointment was less than an hour and included a procedure. Keep up the AMAZING work!" Amanda T.
"Came for 2nd opinion. Thank you for helping me out of panic but I had been told each flash was my retina tearing and the other doctor wanted to do unnecessary laser on the good eye. I was worried so many people scheduled prior to July 4th but you did explain to me what I needed to relax." Liza D.
"All the movements from one technician to another went smoothly and fairly quickly." Corinne P.
"I’ve spent hundreds of hours in Dr.’s offices, in hospitals - traveled hours for expert services for both my parents - I know and appreciate professionals - thank you!! I’m also knowledgeable and expect respect - thank you! Could not have had a better first encounter! Wow!! Such an awesome team!" Glenn H.
"All staff and especially techs @ initial visit and secondary visit have gone above and beyond to reassure me. Respecting care - your staff has it." Laurie L.
"My first visit was great. Everyone was kind and helpful. I really like the doctor very much." Joane I. "Cynthia kept me very calm during the procedure. I love me some FL Retina!! Everybody was pleasant and professional." Ruth F.
"Dr. Barnard and staff were amazing! They explained everything that was happening and left me with no question. I also felt very comfortable during my visit." Jillian D.
"Thanks Dr. Barnard for explaining what may be the cause of the irritation. I truly hope it can be repaired." Jeanette S.
"Fantastic service, very please and I can see!" Ken C.
A very pleasant and accommodating visit. I liked Dr. Barnard and staff!" JR C.
"Minimal waiting - great service and exact instructions." Darleen P.
"Loved the facility. Very clean, well decorated and the staff was very relaxed and friendly." Brian M.
"I have been taking a friend to see Dr. Barnard for about a year. Because of his professionalism I choose to see him. Great help." Diane C.
"So very impressed with staff and doctor. Made a stressful visit very comfortable. Such a great staff and facility. Thank you!" Frances R.
"I was out of my home area at Disney World when eyesight changed drastically. My doctor in Dothan, AL referred me and you took me the next day. Outstanding medical support. You and your staff did excellent. Thank you." Ron H.
"Kim the office manager does an awesome job of helping her colleagues be the best they can be. Our experience is always positive. I also want to thank Nikki for explaining so much to my mother and I. With a little patience and education I can easily help my mother’s comfort level. Thank you." Rita P.
"Thank you all for such great service!" Mark G.
"They are great doctors and very well respected." Jacqueline F.
"Everyone was so polite and very nice. It was a pleasure visiting this office. I would definitely recommend this office to others." Jodi B. "Actually I was a little nervous coming in but, I ended up having a lot of fun. You’ve got great staff especially the one from New Yawk! (Naturally I’m from NY)." Richard D.
"I didn’t actually have an apt. so I was very thankful to be seen by the doctor. He was very thorough in explaining everything. I am confident he will do a great job on my procedure." Sandra M.
"We appreciate Dr. Barnard listening to our concerns. We learned more about Dad’s condition today than we have in the last 4 - 5 years with other retinologists. Thank you for your honesty." Charles C.
"Everyone was respectful and knowledgeable. The physician, Dr. Barnard and the gentleman with him was so very helpful and I appreciate their help and time. My son, who came with me was impressed. He took off from work - power employee, and he was impressed by time given and physician help. Thanks to all of you!" Irene M.
"In the two years we have been in FL, this office was the only one that from when we walked in until going out was professional, pleasant voice tones, clean, and moved through steps in an organized way." Luella M.
"I was impressed with everything about this office. I was sent over from another practice as an emergency and they were exceptional from the front desk to the doctor. I truly appreciate the care." Sharon W.
"Very pleasant office and staff. Dr. Barnard was very good to sit and answer questions and explain the findings. It was very reassuring." Elizabeth M.
"Can’t say enough nice things about Dr. Barnard and staff. I have bene taking my mom to a different doctor for several years and this time was the first time macular degeneration was explained to us. From the time I scheduled the appointment, which was easy, to the reminder/confirmation call, which was great — explaining to bring a sweater as the office is kept cold, (we found it very comfortable) was terrific. Once we got there everyone from the front desk to the techs and doctor were great. Very informative, wonderfully patient with my mom who is hearing impaired and caring. We won’t be switching doctors again!" Gudny S.
"Very efficient — results on the spot!" Sharon L.
"Thank you all for making my 1st visit so pleasant for me. I was nervous and everyone was so kind." Constance T.
"The staff was very caring and excellent. We were looking for people like you all. Looking forward to my next appointment." Eugenio M.
"I would send anyone to you people!" F.S., Patient of Dr. Barnard in Orange City. "I needed medical clearancce to start a long term med. This office fit me in quickly so I could start the medications. Other offices would not even try until a month from now. I will not forget this. Diane H., patient, Orange City." I would like to thank the staff at Florida Retina Institute for quicjly working me into their schedule. It was a blessing to be seen so quickly and learn my situation was not as urgent as thought. The staff and Dr. Barnard were caring, helpful and professional." Dustin R.
Just a quick note to say a big thank you for seeing me on a Sunday and on December 24th with my cloudy right eye. I am home and recovering fine now, but wanted to let you know how much I appreciated you and your staff, who were with you on Sunday and December 24th, really nice people. Thank you again Dr. Barnard!" Susan H.
I want you to know how much I appreciated you and your staff when I had my scare with seeing floaters during our vacation in Florida. From fitting me in even though you were fully booked to how at ease you made me feel during my appointment. It’s nice to know such caring exists and to experience it during a time like that." Judy and Mark B. Thank you for being my doctor. Your talent and experience is appreciated — I was so afraid and you and your staff helped me." Jackie C.
"I would like to thank the staff at Florida Retina Institute for quickly working me into their schedule. It was a blessing to be seen so quickly and learn my situation was not as urgent as thought. The staff and Dr. Barnard were caring, helpful and professional." Joy P.
My ophthalmologist referred me to your office and I recently went back to see her and she discovered that my good right eye has not deteriorated appreciably since I last saw her (3 years ago for glasses). She credits this to the maintenance program of an injection every three months in the right eye. This has allowed me not to go blind. Thank you, Thank you, Thank you!" Ona B. Thank you for your kindness to Larry and I. I have to say you and your staff surpass those that we have been under the care of. Efficient, courteous, compassionate, caring. And, as I’ve said before, I forget her name but the first person that greets every one with that beautiful smile at the front desk. She smiles even if the patient is in a bad mood, and that’s the way it is supposed to be. You are blessed. Thank you again." Larry and Laura P.
Was thinking about you guys and wanted to thank you for all the kindness and hard work you did for me. I've been working full time for almost 4 years now and I couldn't have done it without you. My eyes are doing well. Thanks again, Tom. P.S. Go Dolphins"
I wanted to thank you for fitting me in this morning and performing laser surgery on the tear in my retina. Your staff was very professional and patient and helpful to me in explaining the procedure and what to expect during, after the surgery. You explained as you went and were kind and patient with my questions and concerns. Hopefully, this will be the one and only tear I will need to have repaired but if I do need your services again, I know I will be treated with care and understanding. Thank you again." Tyra S.
Thank you so much for the wonderful goodie bag and fabulous presentation at the HOPS meeting in Daytona. The pictures were great. As a scribe I do not get to see what the MD’s see. So, thank you for a wonderful and enlightening experience. Sincerely, Shellie H, COA"
My mother, who is 94 years old and in a wheelchair, wanted me to contact you to thank your staff for all that they did to assist her during her appointment. She is unable to stand or walk and everyone was sensitive to her situation. In addition, we had a long wait for her transport van to pick her up. She was offered juice and crackers, which was much appreciated. We have been to the office several times prior and each time was also a positive experience." Phyllis L.
I know how easy it is, when you deal with people with similar problems, to become merely workers in an office. However, all of your kindness and consideration during what was a terrifying situation for me only shows what a wonderful, caring group of people you are. You are special and will always be in my prayers." Marcia D.
"Excellent service and caring staff. This was an enjoyable morning. I was a patient at a retina clinic in Toledo and they could take lessons from you. Very professional people." 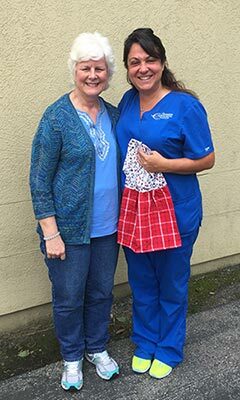 Norma P.
"Thank you so much Dr. Barnard and Dr. Dunn and all the wonderful staff at Florida Retina for saving my vision again!" Phil T.
We want to thank you and your staff for the care and respect you give my husband during his many visits. You are all wonderful professionals and we are so lucky to have you in our lives. Thank you for all you do. Happiness in the New Year!" Linda & Arthur G.
"1st class in every aspect." Donald E.
"First impression- One of the nicest doctors I have ever gone to. Warm and shows empathy with patient. Very organized coordinated facility with knowledgeable, empathetic techs. Very pleasant experience. Kudos!" Lila R.
"Dr. Cunningham was not only professional but was a pleasure to interact with. He and his staff went way above what I expected for a first time patient. Thank God for professionals like them!!!" Jeanette K.
"Staff and physicians were prompt, efficient, and completely thorough and professional. I couldn’t have asked for better care. 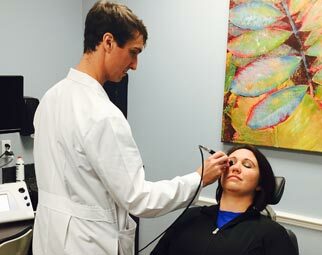 You’ve earned my trust and I will certainly recommend your practice to those who need eye care." Robert M.
"Dr. Cunningham found a tear, lasered it and saved my eyesight. Thanks so much." Teresa E.
"My husband and I were very impressed by the courtesy and respect and treatment from beginning to end of appointment." Donna S.
"Were on vacation from Chicago, had problem and got in immediately, wonderful doctor!" Johnny P.
"Staff very pleasant. Techs - great group. Dr. Cunningham – is now Mr. Wonderful. I have been hurt many times having this procedure - no this time." Terry R.
"I had a great first visit experience. Dr. Cunningham was very kind and friendly. He really made me feel at ease. I have recommended him to my friends." Cheryl H.
"We were very impressed with Dr. Cunningham and the staff and have communicated with others about our favorable impressions." Richard R.
"My mother and I were very impressed with this doctor. He took his time to thoroughly explain my situation and gave us future insight into the situation. I will be back in February." Colleen C.
"I was very happy with how everything went on the very first visit. I felt very much at ease. The entire visit everyone was very nice. Dr. Cunningham was excellent." Sydne D.
"I was an emergency patient. I am very satisfied and grateful for everyone." Joyce W.
"Everyone was great! Thank you all for taking the time to see me." Cheryl S.
"Dr. Cunningham was fantastic- very impressed by his knowledge, enthusiasm, and deportment." Don W.
"If there was a rating about A it would be used on the entire questionnaire. (Would be marked accordingly.)" Michael R.
"Everyone was very nice, professional, and knowledgeable. The people seem to care about you." Suzanne A. "Everyone was very professional and efficient. The wait time was excellent. The doctor was friendly and encouraging as well as informative." Elizabeth S.
"Best office visit to a doctor- ever! Very confident, welcoming, and includes my husband when he explains condition." Karen F.
"I am a registered nurse and PA- so I know the drill. I was impressed! My husband is the patient- he is handicap and language barrier. I was able to interact with staff and M.D. All of my questions were answered with ease. The staff were very professional- Dr. Cunningham, I will all M.D.’s were like him." Roberto F.
"A+ all the way! Great doctor and staff. Thank you so much for explaining everything and making my appointment a positive experience." Karen P.
"I was very impressed by the treatment I received from Dr. Cunningham and the staff at Lake Mary locations." Charles C.
"Dr. Cunningham is the best - very easy to talk to. Always smiling, real good at what he is doing." Juan D.
"Everyone was very helpful and nice, I really liked Dr. Cunningham." Myrtle M.
"My husband and I were impressed with my whole experience on my first appointment." Mary R.
"I had a most enjoyable appointment. I expected the worst and received the best news and report. Dr. Cunningham was very detailed in his explanations. Pleasant mannerisms." Richard H.
"Great experience. Staff was very professional and the doctor was great. He was very knowledgeable and caring." Joan S.
"My visit with the Retina Institute was great. First to say, Dr. Matthew Cunningham is as beautiful on the inside as he is on the outside and his staff gave me a great experience. I will always come to Dr. Cunningham - I love all of you, thank you so much!" Florence G.
"Dr. Cunningham and his staff have been excellent during all of our visits, always patiently answering all of our questions and concerns. First class all the way!!!" John B. "Very professional and friendly staff. Made one feel very comfortable." Julianna S.
"It is rare we rate excellent in all categories. We were apprehensive about the visit but staff, doctor, and assistants all were professional in all aspects. We were totally impressed with our first appointment. As we say in military, 'Bravo Zulu'." Kathleen B. 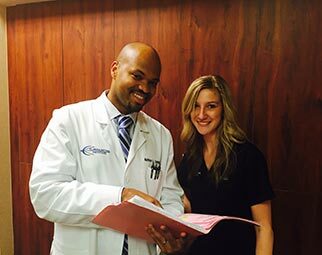 "Dr. Cunningham has the ability to present information in a positive light, giving the patient confidence and a calmness." Jack G.
"First time patient made to feel like an old time patient. Yay!" Pauline H.
"I was impressed by Dr. Cunningham. Seemed very knowledgeable and went through a thorough exam and explained his findings. Great personality. I would recommend him to anyone." Robert S.
"Dr. Cunningham put me at ease and included my family members in his conversation. Found him to be able to explain my problem so we all understood. I am very happy he is my doctor." Janet G.
"When I first arrived for my appointment I was very nervous, but I was put at ease with all the staff being very pleasant. Meeting the doctor for the first time was very comfortable. I left the office feeling wonderful. Thanks to all." Shirley S.
"I wish to comment and thank Dr. Cunningham for his professionalism, compassion, and concern about my husband after our eye surgery on April 11. It was a huge comfort to know we were seeing an expert and professional to care for my husband’s diabetic eye issues. I cannot thank him enough and express my appreciation that we are in the hands of professionals who will help my husband see again. God Bless all of you." Toni N.
"Best medical facility I’ve ever been in!" Claudia C.
"I could not ask for a better experience in this office. Everyone was wonderful to me and my husband." Conception B. "Great service for first time visit. Very friendly staff." Amir K.
"The office staff, technicians and Dr. Cunningham are all exceptional. It’s so wonderful to find a ‘whole package’ of professional, caring staff and doctors!" Betty B. "Very pleased and impressed with the execution of all of the process in the office. Nicely run operation. Very happy with Dr. Cunningham." Carolyn B. "We were very impressed with our entire first visit. Shannon was very professional and courteous. We did not feel rushed by the doctor and he answered all our concerns. Thank you everyone for making our visit pleasant. I am an RN and your office is very well run." Charlene Z. "Dr. was very helpful and took the time to answer all questions. Made a stressful situation easy. Very thorough as well. All the office and other staff people very kind and helpful." Brenda D.
"Extremely pleased with Dr. Cunningham’s treatment and care displayed during my visit. I highly recommend Dr. Cunningham to anyone!" Jorge F.
"Couldn’t be more pleased. Couldn’t have chosen a better and more qualified doctor for myself." Noble L.
"Dr. Cunningham is so pleasant and very knowledgeable! He puts you at ease. I trust him totally and would recommend him to anyone." Sharon B. "Dr. Cunningham is very good and personal about everything. I ask to see him because my 90 year old father sees him and he has helped treat him amazingly." Terry L.
"Dr. Cunningham was exceptional! Very accommodating and personable. I would recommend him highly! Took his time to make certain I had no more concerns or questions. I never felt rushed, he felt like a friend rather than a specialist. Very refreshing from previous doctor." Audrey A. "I had visited another clinic for the same condition but the only response I got was that they did not know. I am extremely pleased with the way Dr. Cunningham explained my condition to me. Even though nothing can be done at the moment, I am satisfied with the explanation." Gloria L.
"I was very pleased with the interaction with both the technicians and Dr. Cunningham. He was very attentive to my questions and I felt I had a full understanding of my condition when I left the office." Keith R.
"Dr. Cunningham is very nice. He explained to my husband and myself better than anyone has regarding my husband’s eye problem. My husband was nervous seeing a new MD and left the office relieved and loved Dr. Cunningham." James F.
"I was very anxious before my visit but Dr. Cunningham was very gentle and reassuring. Thank you!" Leslie J. "The printout given to me about my condition was excellent. All staff were very professional. 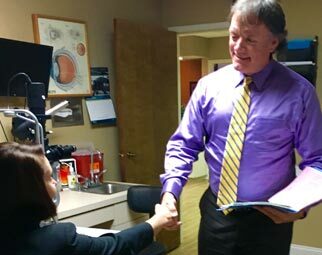 Dr. C. was very easy to talk with and provided a great explanation of my eye condition. Thanks!" Allen S.
"Most greatful accepting my request to see your clinic in such a short time (5 days). Was due to leave for a 4 month oversea visit, when I was told by my eye doctor that I had macular degeneration. Thanks." Lennart E.
"It was a good visit for the first time. No long waiting, each thing they had to do was back to back. Very nice and time went fast." Denise E.
"Dr. Cunningham’s bedside manner and personality Are reassuring and very knowledgeable. Love him!" Janice J. "Robin, I had my left vitrectomy on Thursday. Everything went even better than expected. Of course, Dr. Matthew Cunningham rose to occasion in great form. He assured me that the care I would receive at your hospital would be better than what I had at Waterman. He was absolutely correct! While my procedure was not that serious I was given the best care possible. Bobbie and Elizabeth went above and beyond the call of duty. They were incredible! All the others were great, but I don’t remember their names. Not only was I taken care of professionally and with great compassion, my family members were also treated so very well. What I particularly find appealing is that in a faith-based hospital, everyone sees that position as a calling and not just a job. Believe me, we will sing your praises to everyone we meet. Thank you." William W.
"Excellent visit. Dr. Cunningham was thorough and explained my issues well. I will certainly recommend him to others." "My experience by far exceeded my expectation. Overall rate A++." Bobie R.
"Refreshing to experience such professional, knowledgeable and caring treatment." Mary M.
"Wonderful experience considering the nature of the visit." Elizabeth M.
"Dr. Cunningham and crew, thank you for restoring the gift of sight. My case was a tough one but you saw it through." Jim K.
"I am from Cleveland, Ohio, and needed to see a Retina Doctor. I was giving a same day appointment and with an outstanding Doctor." Maryann G., patient of Dr. Cunningham in Lady Lake. "Everyone was very professional and friendly. Love Dr. Cunningham!" Christina D.
"My 1st visit, long wait but it was worth it. Very pleased." Dawn S. Mount Dora patient of Dr. Cunningham. "Very grateful to Dr. Cunningham for seeing me right away. It's hard being away from home and needing a Doctor. Good to know I now have eye doctors here in Florida when we come for the winter." Mary E.R. "I was impressed by how efficiently the office is run. Very pleasant visit!" Lori T.
"Excellent staff and services, will definitely recommend you to others!" Sheile M.
"Most accommodating to two 90 year olds." Marcella M. Patient of Dr. Cunningham, Lake Mary. "Dr. Cunningham was great in explaining everything about my condition in a clear and understandable manner. Really appreciated that." Donald G.
"Very professional, caring staff." Ernest B. "I was impressed with the personable attitude of Dr. Cunningham. He was thorough and efficient but never made me feel rushed." Linda A. "Wonderful experience." Dennise Y., patient of Dr. Cunningham in Lady Lake. "Completely efficient and friendly. Dr. Cunningham explained the problem very well." John F.
"Felt confident of receiving excellent care and concern for the patient. Husband observed all treatments and was impressed with service." Barbara D.
"Dr. Cunningham is very friendly!" Shelly S.
"Entire staff from front office to check out has been 1st rate. Helpful and pleasant and appreciate all of them. Great staff!!" Jenifer A. "Excellent rating! I don't even remember giving out such accolades but you deserve it. And, a special mention for Dr. Cunningham — a wonderful asset to your practice." Peter B. "The staff and Doctor were wonderful." Helen R.
"I am planning on referring other family members and friends." James E.
I want to thank you so much for seeing me Monday 3/2/15 in an emergency situation. Your care was so appreciated. I felt very much that I was in excellent hands. Just wanted to express many thanks to you and your staff! Sincerely, Michael H."
"I recently had the pleasure of being treated by Dr. Matthew Cunningham at Florida Retina Institute in Lake Mary, Florida. I work for an eye doctor myself, and during an examination by one of the doctors in our practice, a hole in my retina was discovered as a result of lattice degeneration. We refer patients to Florida Retina Institute all the time, and I had only heard good things, so I knew I would be in great hands. I was still very nervous and concerned all the same. The staff was very efficient, caring, and took the time to answer all of my questions, which made me feel more at ease. Dr. Cunningham was very personable and never made me feel rushed, which is very important to me. They have been accommodating and professional through the whole process, and have even been able to work me into the schedule at a moments notice each time I have called to schedule. 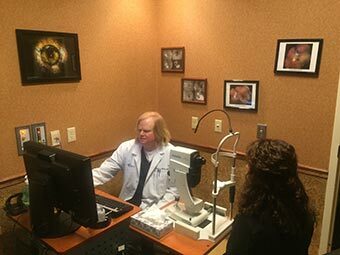 I was very nervous about the laser procedure that I had scheduled to seal the hole in my retina, but felt very comfortable with Dr. Cunningham, as he was so incredibly knowledgeable as well as very patient with me. The procedure went very smoothly, with Dr. Cunningham and a very kind technician reassuring me and talking me through the procedure. I would highly recommend Dr. Cunningham and Florida Retina Institute to others." Kristy O.
I think you are a marvelous, great doctor with a wonderful personality. You have an excellent bedside manner and since I have been a patient of yours my vision has increased. You also have a very efficient and compassionate staff. I completely trust you!" Luz C.
"Excellent staff. All treatment well explained." Marie D.
"I was impressed with the professional and friendly way I was treated. Made me feel more confident about my care. Thank you." Yvonne G.
"Wish all offices were this efficient and caring. Thank you." Shirley R.
"Pleasant experience - Julie is an asset to your office – she is a breath of fresh air." Carol J. "Everyone was very friendly and my service was outstanding. Very professional staff. Dr. Dunn was terrific!" Phyllis S.
"Thanks for all your help…Doctor and staff!" Lowell T.
"As a retired nurse I found everyone to be congenial and very professional." Frances K.
"Very pleasant experience, no pain with treatment, I am very pleased with Dr. and staff." Kylee T.
"The doctor and nurses took time to make sure I understood everything and had opportunity to ask questions." Harold T.
"Your office was very, very good at doing everything and explaining all. Thank you." Suzanne T.
"Thoroughly pleased with Dr. Dunn, the staff, and treatment provided. Everyone was very courteous and answered any questions we had. Wish you had an office in New York!" Donald S.
"Dr. Dunn was very professional and I liked his confidence and knowledge of my condition. I was referred to your office by a friend in NY, and was more than happy he referred me." Lawrence M.
"Dr. William Dunn is a brilliant physician. Dr. Dunn and his professional staff provide and treat the needs of each individual customer with paramount concern. Florida Retina Institute meets all highest expectation to go above and beyond for their patients expectations. Providing impeccable team service. God has blessed this facility to save and heal many patients." Regina N.
"This was my ‘very first’ visit. I was very anxious, nervous, etc. Everyone made the procedures very clear. Lisa stayed with me during the time getting ready for Dr. Dunn. I cannot say enough about her encouragement to help me. Hopefully, my next visit can be with her." Elaine A. "My first time there and was very impressed with the professionalism and caring treatment of all concerned. All in all a very good experience." Sherry J. "Very satisfied I was both educated and treated for my condition." Charles J. "One of the best doctors I have met over the years, including when I was working. Dr. Dunn is compassionate, has empathy, and is willing to take time to explain and answer questions." Patty H.
"Told 2 hours from start to finish as a new patient. However, understand the extended hour as I had to have unplanned tests performed. Staff pleasant and caring. Would recommend this office highly." Jean B. "Caring, compassionate, attentive, a great Doctor, for scary 1st time. Thanks!" Mary B. "Julie was very helpful, friendly professional and informative. Lisa, was too! These two ladies are the technicians who performed my tests. Dr. Dunn was very informative and helpful and explained my condition and treatment option very well." Cindy G.
"I have had such a good experience from making an appointment. Every question I asked was answered and explained in such a clear manner; and for the first time I have an understanding of my eye issues. Thanks!" Janet T.
"We used the internet to find Florida Retina Institute. We also consulted our ophthalmologist in Indiana. Both inquiries led us to Dr. Dunn. I could not have been more satisfied with this experience and treatment. 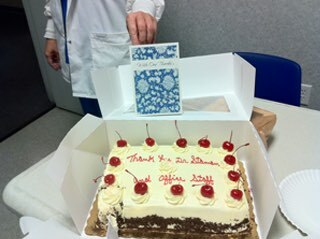 Thanks to all employees of the Florida Retina Institute. Thanks again!" David A.M.
"Very glad I went to Florida Retina Institute, I was very comfortable and relaxed. I would refer to anyone I know if they had eye problems." Judy S.
"Dr. Dunn is the best! Betty S."
"All offices should be as efficient and well run." John M.
"Very pleased with the clinical staff's knowledge and professionalism." Roy S.
"Got there a little concerned but felt better and at ease when I left. Thank you!" Paul N.
"I was very thankful that I got an appointment with Dr. Dunn the same day that I called. Especially since I was a new patient from out of state. The office staff and Dr. Dunn were very, very efficient and pleasant." Diane H.
"At check out very helpful, called my Doctor for follow up." Daytona Beach patient of Dr. Dunn. "Every step of the way I received exceptional care and service. Thank you!" Debra S.
"My wife and I were very impressed by the courtesy, professionalism and knowledge that was shown to us from the registration desk through the physician and discharge desk. We felt very comfortable with our visit." Robert M.
"I am very confident regarding care and treatment of practice." Joan R.
"First time at office. Everything was great! Thank you!" "I was very happy with my care. Thank you!" Carolyn G.
"Very professional services. Friendly and knowledgeable, would recommend highly." Henry V.
"Always am apprehensive when going to Doctors office if I ahd not been there before. Found everyone friendly and professional. Dr. Dunn was terrif with exam and explanations. Would recommend him to all who need retinal care." Joan B. Thank you so much for taking care of Bill and his retina. There are some things you can’t put a price on! Your dedication to your chosen profession is obvious." Bill and Mary Lou O.
I just wanted to let you and your staff know how much I appreciate your kind and timely care for our patients. Thank you for always being there when they need your expert care! We look forward to working with you again." Dr. L. C.
Thank you very much for all your care in helping me to get through these trying times since the onset of CRVO in my eye. I am truly grateful for your kindness and professionalism. 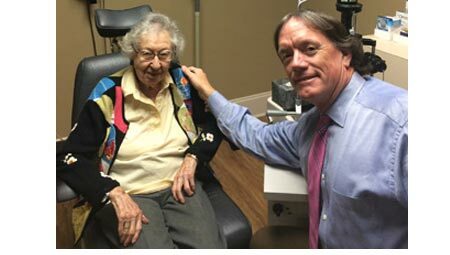 Sincerely, Barbara T."
Dr. William Dunn congratulating a 106-year-old Florida Retina Institute patient to her 20/40 vision! Thank you so much for treating my macular edema. I am thrilled with the results and grateful! The desire of my heart was always to look after my husband. And then I was not able to see or drive a car. I felt so sad. You have through God’s grace restored my vision. I can now see and drive. Thank you." Ann P.
You are so busy, and was so elated over the good news about my eyes, I didn't get a chance to properly thank you. I sure appreciate you taking me as a patient, your expertise and treatment. Thanks for being direct, forth right, accommodating and very professional. You are certainly an asset to the Florida Retina Institute. Regards, Bill." Thank you for all the care and professional attention shown to me during the past year. My eyesight has been saved through your work, and I want to say what it means to me. I still share sunrises and sunsets with my beautiful wife, children, grandchildren and great grandchildren. Plus ability to travel and meet with fellow veterans. Jack N., USAF, Retired, another grateful patient." Monday was a very thankful and blessed day for me and my family! We want you to know how appreciative we are of you, your talents and kindness. Please thank your staff for us. They were very professional, patient and compassionate. With many thanks and appreciation!" Marily L.
Thank you for your eye program that helped my husband, John T., today. We were so happy that he is responding. I know you are too. Very proud of you. Sincerely, Catherine T."
Just a "little something" to thank you for your professional expertise, your care and concern for me. Your kindness was most appreciated. You have put a smile back on my face - because I can finally see! All of you are a great team. With much thanks to all of you, you're simply wonderful. Thanks, Nadine W."
This is a very small thank you to you and your staff. You have provided my mother, Audrey B., with the very best treatment available, and for that I am most gracious. You and your staff provide exceptional service, and you all take wonderful care of her. Thanks to you for being such a brilliant doctor, and for having the best staff around town. My most sincere thanks for all you do. Thanks to Dr. Dunn and his wonderful staff! Kindest regards, Simone B." "Dr. Houston was great!" Donna H.
"Enjoyed meeting Dr. Houston (in spite of the fact he is a Gator and not a Seminole)." Mary Kay B. "Thank you all for getting me in so quickly. Everyone was kind and thoughtful." Nannette R.
"I was impressed with the friendliness of the staff upon arrival. They made me feel very comfortable. I was worried about my eye situation. They acknowledged my concern and gave me an appointment right away. I was very pleased with their services." Denise S.
"I was impressed with the office. The wait was not long and Dr. Houston was wonderful." George M.
"It felt like a well-run office." Margaret H.
"Hands down the best office staff I’ve ever come across." Kelsi N.
"Everyone was professional. From the receptionist to check out, the process was smooth and efficient." David D.
"All staff and Doctor was great. Crystal at front desk was very, very helpful getting me an appointment with different type of doctor. She’s the best." Barry L.
"Having spent most of my career in Administration, I was most impressed with the preadmission package I received. It was well put together, well thought out, and very professional. In addition the young ladies at the front desk, Abi and Kristal, were very warm and welcoming." Andreaetta J. "Dr. Houston and assistants were great. Explained things well and put me at ease." Raymond N.
"Thank you all for being so pleasant to deal with." MaryJane M.
"Very professional and thorough. Answered all my questions/concerns." Christina M.
"Very pleased with the efficiency and friendliness in the office." Sherry K.
"I decided to try this doctor for convenience for I was visiting my daughters and I received such good treatment from the staff up to the doctor. Thanks for having such help like them to take care of me." Anita W.
"I took my sister to his facility and was so impressed by your staff (Abi & Kristal). I was in the waiting room for 1.5 hours, at which this time I observed these ladies. You are blessed to have such kind and compassionate people at the front desk. They were so helpful and friendly to each patient that came in. I saw acts of kindness that went above and beyond their duties. I was impressed by these two ladies. Their kindness came from the heart (a heart of love). Thank you." Joyce P.
"The first person we met was Abby. The next girl was Chrystal. All of these young ladies were super. So satisfied and Dr. Houston, what a class act, so professional. Thank you so much, you guys are great." Ralph L.
"The staff was very accommodating. Helped me through a difficult situation from my referring doctor. The physician was excellent and also made me feel at ease and told me everything necessary to continue with treatment." Frank M.
"I was visiting the Clermont are when I experience a loss of vision in one of my eyes. Dr. Houston was able to see me in an emergency apt. He was very thorough and explained everything to me. The entire staff put me at ease with their professionalism and concern for my health." Judith V.
"I had a nice visit, the doctor was very nice, and everyone else was too. I’m glad I could come then. I’m glad my doctor sent me there." Maxine A. "Thank you for your dedication!" Mary P.
"Dr. Houston was very kind and thoughtful of my concerns. He was very gentle and I didn’t feel the pain. Looking forward to healing of my left eye and next appointment in July." Agnes D.
"For a first tune it was really nice. The staff gave me great customer service. The lady that gave me my next appointment gave me a smile and that is amazing in the reception area. That is the number 1." Stephanie M.
"I was visiting from NC when the time came for my regular injection. I’m grateful the Institute was here." Lois C.
"From walking in the front door to leaving everyone we spoke to was wonderful. Unlike some offices yours was pleasant and everyone made us feel welcome and we really appreciate your kindness." Forest E.
"I was impressed. I particularly appreciate the free snacks and water. Nice touch." Glenn R.
"After all the problems I had with another facility and the surgery, I thank God that my medical plan sent me to Dr. Houston and his staff - and it has been an extraordinary experience." Maryland C.
"Very impressed with each member of the staff. They all were helpful and made me feel comfortable. Thank you for a pleasant visit to help ease the situation." Stephanie R.
"Was extremely impressed with the professionalism, knowledge of the staff and of course Dr. Houston." Richard C.
"Left office with a good feeling. Learned more about my eye than with my last physician." Dorothy V.
"Seen as an emergency appointment. A++ Dr. Houston and all staff were outstanding. Thanks!!!" Kay W.
"Dr. Steven Houston is excellent!" JT C.
"This was my first visit with Dr. Houston and am delighted with my visit and all aspects of the office and doctors. After 4 plus years with another retina doctor- I received more knowledge than ever before." Neil K.
"All staff were very friendly and helpful. A very pleasant experience. Dr. Houston is fantastic. He was very informative and made sure I understood everything. He is very caring and thorough. I fully trust him. There should be more positive experiences like this is all areas of the medical field. Thanks for such a nice experience. I truly appreciated you all." Debbie S.
"Staff and physician make you comfortable and knowledge of what’s wrong and how to correct it." Martin P.
"Very pleasant office and staff. Dr. Houston was an outstanding professional, who fully explained my problem." Grace C.
"Dr. Houston took care of my issues and set my mind and ‘eye’ at ease. You have a very professional staff. Thank you so very much." Jane M.
"We’ve had an awesome experience at the Orlando office-Dr. Houston was great and staff was nice and caring." Pierre R.
"I first notice the patients in the waiting room were comfortable and no one was stressed out. The employees were all working together as a team. My treatment was exemplary. Dr. Houston and his techs were great. I was very happy with my treatment." Mary S.
"All the staff and Dr. Houston made me feel so at ease. Thank you!" Diane M.
"You made my transition to your practice on of ease and felt comfortable. Many thanks!" Brenda P.
"I must say this is my first visit to Retina Specialist and my experience was excellent." Sandra W.
"This office was the ‘Best’ I ever had." Judith H.
"Great facility and staff. The office is inviting and well kept. Igor M.
"Everyone was so sweet and they had smile on their face and be glad to tell my friend to come here." Pearlie W.
"I wish I went to you sooner. The reception was warm and friendly. The office is clean, cool, and wonderful art work. It shows you care about ‘us’. People remember how they felt after a doctor visit –not just the treatment and info. You made me feel wonderful. You are very capable, kind, warm, and sincere. Refreshing." Pam R.
"We have had to drive 400 miles round trip to Bascom Palmer. We now found better care from Dr. Houston! Yeah!" Wayne C.
"I am very impressed by the knowledge, attention, kindness and commitment to patient care I experienced today. From the initial greeting to the scheduling of follow up everything was professional. With your eyes you can never be too careful and it is good to have this team in Clermont." Jean T.
"I made an appointment while driving from Naples to Orlando. I Live in Naples and Morgantown, WV. Had laser surgery two days before in WV. Thought I had a new condition and called at 1:00 a.m. Doctor waited for me to arrive and saw me at 4:15 p.m." Ronald S.
"The best doctor’s office I’ve ever been to. Thank you." Tim K.
"Staff very professional and courteous, I thought it was the best office ever." Kathryn F.
"As a new patient I was very comfortable and pleased with everyone. Dr. Houston made my first visit a pleasant one." Mary P.
"First time visit for my mom with Alzheimer. Staff was caring and considerate." Maria C.
"I loved Dr. Houston." Frances H.
"I appreciate Dr. Houston for explaining my type of macular degeneration, all my previous doctors told me nothing. Also, the tech showed me the pictures with explanation. Everyone is so professional and kind. I’m looking forward to my next visit. Thank you all." Florence H.
"Excellent experience! Acceptable waiting time." Theresa D.
"Very happy with Dr. Houston, his exam and plan for treatment. Did not feel rushed at all. Staff all were excellent and explained everything." Robert E.
"Dr. Houston has a wonderful demeanor! He was comforting, supportive, and informative. I will recommend Dr. Houston to friends and family." Pam B. "Saw me in the office on very short notice after ASAP referral by my physician." David R.
"Brittany at the reception was wonderful. She gave us directions and was very patient with us- just great!! The rest of the staff was also great! Dr. Houston was kind, patient, and professional. He and the staff made us feel at home!" David G.
"If more doctors offices were handled in the way this office is then maybe our health care would be more pleasant and informative. Looked and acted so caring." Nancy B. "I was quite apprehensive before I arrived but was cured of that immediately after meeting with the staff and Dr. Houston. Very caring and professional — thank you! " Robert T.
"Staff was friendly and willing to go ‘the extra mile.’ Dr. Houston was warm and professional. He talked about my concerns and answered all my questions without making me feel stupid. In my mind, I compared him to my doctor in MI. He passed with honors." Peggy V.
"My experience in going here has restored my belief in doctors. For years my own ignorance to importance of caring has got my eyes bad and no doubts I am diabetic. Everyone was so top professional and best, awesome, and outstanding. So thankful for coming here." Dorothy N.
"Very formally impressed by staff and office appearance. Hot chocolate on a cold day was appreciated." Margaret G.
"Best yet of 4 locations and 6 Doctors." Bertha S.
"Your staff is very professional and also very kind and sweet. Thanks for your kindness." Yvette P.
"Couldn't get any better!" Richard L.C. "Very efficient office! Our last eye doc practice had wait times of 1 1/2 to 3 hours after the appointment time." Don D.
"Found everything to be well organized and very friendly." Brian B. "I was delighted with my visit to the Florida Retina Institute. Everyone from the receptionist to the Doctor was friendly and professional. And, I was amazed that they were able to see me within 30 min. of my regular eye Doctor calling them! What service!" Christine C.Y. "I feel Dr. Houston and staff are giving me the best care beyond what I expected." Betty E.
"The atmosphere and professionalism were very evident when entering the office. It takes a lot to impress me, and I was amazed by the friendliness and organization about every aspect of this medical office. Dr. Houston is "outstanding". He is a real asset to his profession, I really like him!" Cecilia W.
"Physician and Staff were exceptional! They listened to my questions and answered them to my satisfaction. The physician took his time making me feel very much at ease. I would highly recommend Florida Retina Institute to my family and friends!" Nancy A. "Class Act!!" Tom S., patient in Lady Lake. "Great — oustanding office staff, clinic staff and Doctor (Houston). Super polite and respectful of my many extra needs in a wheelchair." Marilyn Q. "I was told that my appointment could take up to three hours. I wasn't there half that time. I came in and from the time being said hello it was an amazing experience. Everyone was so nice and professional." Arturo A. "Quick response to referral and excellent care. Very friendly staff — thank you!" William E.W. "Very organised and very friendly staff. Made a scary situation tolerable. Did not rush you and gave time to ask questions." Katherine K.
"My wife and I felt we were put at ease and that Dr. Houston and the entire staff acted in a professional, courteous and efficient manner." William P.
"It is rare that all is excellent, but in this case it is justified. The cheering and friendly greeting by the receptionist set the stage." Charles H.
"I could not be more satisfied. Just keep doing what you are doing." Alton C.B. "Thank you for the timely efficient treatment in a very difficult situation." Denise D.
"Everything and everybody was outstanding!" Elizabeth D. Patient of Dr. Houston in Clermont. "Very well satisfied." Richard T.
You performed my second vitrectomy on me two weeks ago and cleared me to resume normal activities last Monday. Today I golfed for the first time since that surgery and scored my first hole in one. Some would say it was just luck, but I also topped my best score on that course by six strokes. All my other daily routines like driving, reading, and softball are all remarkably better. I'm obviously seeing the world a lot clearer now thanks to you! Thought you'd like to know. Best regards, John B." "Dr. Houston, thank you for the timely efficient treatment in a very difficult situation." Kimberly I. "It is rare I mark all excellent but in this case it is justified. The cheerful and friendly greeting by the receptionist set the stage." Charles M.
"Very professional staff, kind, and courteous." Catherin B. "Welcoming/excellence/knowledgeable/ is very well practiced- Thank you!" Miriam C.
"I received excellent treatment in all respects." Ann B. "I am a new patient and was thankful to be seen after a a problem concerning a shot I had in my eye the day we moved." Judrey B. "Outstanding help by front desk! I arrived at office for first time and realized I had a flat tire and had to call AAA. Front receptionist kept me up to date when they arrived at office.” –Karen L. -(Lady Lake) “Dr. Mav is the best!!!" Karen S.
"My visit with Dr. Mav was excellent. I thought he was wonderful. His staff was very personable and knew what they were doing. I was impressed!!! Believe it or not I really enjoyed my visit, the staff and Dr. Mavrofrides made it happen – happy patient." Carol D.
"Exceeded my expectations." Eric K.
"Dr. Mavrofrides was excellent in explaining the problem with my eyes. I felt very relaxed and comforted with his explanations. I was very relieved for the first time in 6 months. Thank you so much." Diane W.
"Office staff extremely attentive/professional. Everyone I encountered was informative; the staff members, the person who took my computer pictures and last but not least, the team mentioned above and Dee who injected my dye. Dr. Mavrofrides is a great healthcare professional!" Sandy S.
"Dr. Mavrofrides explained condition of my eyes better than anyone and why it happened and what to expect. He also considered both my daughter and myself answering our questions. We are very confident with this doctor." Daisy E.
"Everything was well done. They have only smiling and happy faces at the clinic. Thank God for that." Renette J. "I had no idea my R. eye vision was totally gone. My understanding had over night to adjust to this fact, so the news from Dr, Mav was more thorough than previous day with another doctor who sent me to you. I appreciate the quickness of my appointment and your staff." Carole H.
"I was an emergency referral. Dr. Mavrofrides did an exam and immediate laser repair. The entire time I spent in this office I was treated with dignity and respect even though they had to ‘work me in’. I was very impressed with the kindness." Cathy T.
"Great first experience! Dr. Mav was thorough and answered all my questions. Actually read info I provided about my medical history." Barbara O. "I appreciate the doctor seeing me within 48 hours as I had been given the referral." Rosemary P.
"Dr. Mavrofrides was recommended by my retina doctor in Atlanta. I am very pleased and feel confident to be in Dr. Mavrofrides care." Joe Y. "I taught blind people how to travel in NJ for 39 years. Had contact with many eye professionals. You folks are the best!" Frederick M.
"All staff were so courteous and professional. Megan was awesome and did a great job with my testing and so did other techs. Dr. Mav was awesome!" Lannette H.
"Thank you for your rapid response for this issue. I felt very warm during my visit. Thank you for your professionalism." Alexander C.
"Best medical experience overall." Agnes F.
"New to the city- happy about the recommendation from my doctor." Sylvia W.
"Best doctor I have seen since moving from South Florida 12 years ago." Stephen S.
"I was very impressed with the setup of the waiting and exam area. The multi exams were timed just so the wait never seems like we were there 2hrs and 15 minutes." Blanche T.
"Dr. Mavrofrides and staff are very compassionate, patient, thorough, and professional. Dr. Mav you’re the best!" Shirley B. "Well organized- considering the amount of patients to be seen." Robert R.
"Very knowledgeable and responsive to my emergency needs." Thomas H.
"I was very impressed and pleased with my experience at your office. Dr. Mavrofrides was very receptive to my questions. Thank you." Paul G.
"Everyone here was so nice and friendly every time I come in for appointment. Thanks." Jimmy W.
Dr. Mavrofrides and staff were excellent and discovered the cause of eye problem that I have had trouble with for 3 years. A previous doctor failed to discover the cause. I am delighted to have such an excellent clinic and staff." Neal G.
"The staff of Dr. Mav was awesome yesterday. I have diabetic neuropathy. Not only did I have a normal check-up for a post-cataract removal (performed by Dr. Thomas six weeks ago), Dr. Mav also noticed some swelling in my right eye. As a result, I had a Fluorescein Angiography taken and the young lady who performed the procedure was very kind and tolerant. Finally, Dr. Mav gave me an injection behind my eye to help relieve the swelling. I appreciate the courteous and friendly staff. Thank you." William G.
"This was my first visit and I was pleased with the way I was treated. Looking forward to future visits being the same." "The receptionist scheduled me in the same day I called since I had flashes and floaters. Dr. Mavrofrides was warm, informative and educational as well as calming. I was very scared about a possible retinal detachment and he was excellent in his care. And the staff was very kind." Lisa F.
"I was squeezed in as a new patient. I am so grateful for that as u was having a medical emergency with a torn retina." Dennis M.
"So pleased at your willingness to stay late for your patients. Very informed on my condition. Thank you." Lenora C.
"The co-operation with Florida Retina Institute and the VA for immediate care was excellent. All of the entire organization was excellent." James L.
"A++ Everyone very professional. The best I’ve seen! I can’t say enough about the doctor and personnel." Ronald W.
"Nothing but good things to say. GREAT!" Buddy A. "This was my first visit to the office and I was highly impressed. The staff was knowledgeable yet friendly and very personable. The doctor put me at ease about my situation and necessary procedures." Annette T.
"From the first phone call to make an appointment until I walked out of the office from my appointment, the staff was friendly, helpful, and very considerate. I felt at ease, welcomed, and valued. Thank you!!" Maria O. "My 1st visit to FRI (Florida Retina Institute) and I have been duly impressed with the time I have spent there." Dr. Lane P.
"Excellent service, everyone was professional and polite." Kathleen N.
"Dr. Mavrofrides is phenomenal, he has a great reputation, wonderful bed side manners and great knowledge." Georgette K., Orlando. With my wife accompanying me, we were greeted at the check in desk by a neighbor like smile and attitude. Our testing proceeded like clock work and handled like we were more then a number of people that showed their feelings for your well being. Dr. Mavrofrides explained their findings in layman terms taking time to understand our feelings. The visit to this medical group has renewed a new confidence that concern for their patients feelings is still in the minds of some medical professionals. Thank you for making people comfortable while going through a medical situation. Thank you all." Mr. and Mrs. Frederick M.
Thank you for helping my mother. I will never forget your kindness you showed her. From, Miss Beverly & Gwen J." "Didn't have to wait long, office seems to run efficiently, everyone was very professional and pleasant. Doctor Mavrofrides was great! Answered all our questions. Didn't feel rushed." Terri T.
"Very pleasant experience. Linda H."
"Thanks for being so helpful, Dr. Mavrofrides." Annie N. Mount Dora Patient of Dr. Mavrofrides. "Extremely professional and courteous staff and Doctor. I really appreciate being seen on such short notice. Excellent care and treatment." Donna S.
I want to thank you for your excellent work on my one good eye and also for your outstanding bedside manner." Barry W.
"It was an excellenct and efficient visit. I would definitely recommend you!!" Patti D. Lady Lake Patient, Dr. Mavrofrides. My wife and I wanted to thank you for your care for my well being during this trial with my left eye. You are more than kind; your compassions are clearly seen." Ron P.
"All excellent!" Eileen N., Patient in Lady Lake. Celebrating their 80th wedding anniversary! Florida Retina Institute patients with Dr. Mavrofrides. I would like to thank you for going above and beyond your call of duty with me! I have never found a doctor so kind and caring about his patients. It really means a lot. I would recommend you to anyone with eye problems. God Bless and Thank you again!" Steve L.
I wanted to take a moment to thank you for so many things. We have only met once, I was a same day referral and probably one of your last appointments of the day. Thank you for your kindness. You all had to decipher my description of what was happening, you listened and never made me feel like a number or made me feel like I should hurry up. Thank you for your patience. Your answered questions and gave me the big picture, guiding me to the next steps. I believe my mouth was open with shock and my mind in disbelief. Thank you for your concern and professionalism you and your team assisted with getting me a referral to a specialist in another area. Thank you again for everything ... You are making a difference, You did in my life! Sincerely, Sandi S."
Just a short note to thank you for the terrific care you and your staff gave me. Thank you also for comforting my fears. It is no surprise why your patients love you. Truly, Dr. Barbara L."
It's easy to say thanks to someone as nice as you. A donation has been made to Eagles Cancer Unit at Gleneagles Papanicolaou Corps for Cancer Research, Inc., in honor of you seeing me and taking such good care of me. Given by, Glorida R."
Thank you very much for seeing me on short notice and giving me such a thorough exam. My vision seems to be status quo. Thank you, Randy C., MD." My wife, Catherine M., and I thank you from the bottom of our hearts for what you were able to do." Emmett M.
You're good for the world. Mine in particular. Thanks, ever so much. I'm looking forward to seeing you again!" Louis N.
Thanks a million for your help and kindness. I deeply appreciate you, you are my favorite doctor. God bless you with more wisdom, knowledge and revelations." Romilda S.
Thanks for all that you have done for me!" Ruth P.
Thank you so much for everything you are doing for my eyes. You are a blessing to my family and I. Again, thank you. Sincerely, Bradley P."
My family and I were on vacation in Florida over Easter Break, I saw floaters and flashes in my left eye while at Disney World on Easter Sunday. Fortunately, your office could see me the next day. Dr. Mavrofrides performed a laser barricard for a left PVD. A big thank you to Dr. Mavrofrides for doing the procedure which preserved my sight. Also, I would like to thank Dawn, for putting up with my phone calls, Holly at the front desk and Laura, Dr. Mavrofrides's assistant. Because of all of you, I can see and there is not greater gift than "sight". Thank you so much, Lori S."
"Your office ran like clockwork. I’ve never been in a doctor’s office that was run so efficiently and on time. No waiting at all for anything." Jennifer R.
"Florida Retina Institute gave me a very warm welcome. Dr. Moreno explained everything and I understood every word. Thank you all." Shirley S.
"My first visit was fantastic and everyone was very courteous and cordial." George W.
"So very thankful Dr. Moreno was able to tell me what is going on with my vision in my right eye. I wasn’t sure I could explain what I was seeing so he could understand it, but he knew what I saw and was able to diagnose it." Beverly J. "My visit was excellent, everyone was very very nice. I was able to laugh and talk with the office staff like I knew them all my life. The doctors and technicians - I trust them for the care I need." "This was the first time to your center. I will definitely come back and refer someone to your facility." Pamela B. "Everything about appointment was handled professionally." Teddy N.
"A very caring office." Melissa S.
"I was a bit nervous because I had never had reason to have special equipment used. But everyone was so warm and professional and I appreciated that very much." Pamela M.
Thank you for being so kind and caring! I brought Chloe for a follow up last week and our second visit was just as wonderful as the first! I felt anxious about potential vision issues and everyone was so kind and friendly, and thankfully Chloe is doing well. Thank you for all you do! Sincerely, Beth W.
*Chloe drew a picture for you." "Very impressed with everything about your office!" William T.S. "Excellent doctor! Received diagnosis of Macular Degeneration. Saw Dr. Moreno for diagnosis and treatment of Macular Degeneration.Dr. Moreno is wonderful. Dr. Moreno patiently talked with me and listened to me and gave me information on my eyes and general information on Macular Degeneration. During treament Dr. Moreno gently applied the device to keep the eye open so that I didn't even feel it. He gently injected the deadening medication and gave it 10 to 15 minutes to take effect. When he did the treatment infection I did not even feel it. Subsequently the eyeball did not swell and there was no swelling of any kind. Having now had a 3rd treatment with Dr. Moreno and it was the same. No pain or even discomfort; very gentle and kind. I would highly recommend this doctor." "All staff members and Dr. Moreno were very friendly and made you feel comfortable." Patient of Dr. Moreno in Waycross, Georgia. "My visit at the Dr's office was very pleasant. Everyone was very nice and professional. All questions were explained and answered." Mary W.
"Was satisfied with the hole operation, staff and Doctor." Cheron S.
"Everyone was so friendly. Before my appt, they called to tell me what I needed to bring. The wait was not bad (very good), and I felt comfortable with the Doctor." Nardis K.
"Great technicians! Loved their personalities." Denise S.
This note is an extra expression of thanks for all that you have done for me. I came here angry and depressed about the bit of bad luck that I had. You changed both my sight and attitude. This may have been just another day at the office for you but for me these four visits have been a life changing experience. Thank you so much for what you do." Phil R.
"Jessica and Christina were excellent, very professional and yet, warming and caring. Dr. Moreno was thorough, he took the time needed, he wasn't rushed. All staff showed respect for patient and family member." Dorothy M.R. "Thank you to everyone in the Park Street office for what you do! You have saved my sight and for that there are no words enough to say \'Thank you\'. My sight has improved so much from where I was at 3 years ago. Today thanks to each of you and Dr. Moreno I can see the fire in the fireplace, I can see the menu in a restaurant, I can see my grandchildren\'s faces! There is just no way to find words enough! May God Bless each of you!! And especially Dr. Moreno for his kindness and for being so very gentle!! I can see!!" Brenda M.
Thanks for all you do! "Connie Y. Thank you for taking care of my eye. I was so scared. You are giving a priceless gift of sight again. We all say thanks!" Bonnie C.
Approximately 25 years ago almost complete vision loss of sight in my left eye was diagnosed as “wet macular degeneration”. No measure of gratitude can express my thanks to your staff for the quality of life that Florida Retina Institute returned to me. It is miraculous. Thank you again for all of your efforts, John, L."
I want to thank you for being so incredibly kind to me when I saw you on April 15th for an emergency which was diagnosed as wet macular degeneration. You left your house at dinner time and returned to your office which was closed to see me. Since I was not a patient of yours and I was visiting from St. Louis you were most gracious to see and treat me. You are an exceptional doctor and I am most grateful to you. With deep respect, Bernadine S."
I just want to Thank You All for trying so hard to help me with my bad right eye. It is rare in life, to find such a good group of employees that try so hard to help you feel better. I won't remember all your names, but your kindness on some really bad days will forever be a good memory for me. "I have hearing aids and was in an electric wheelchair. The staff was very accommodating. Everything was immaculate. A pleasant experience." Miriam P.
"Dr. Staman was very knowledgeable with my condition. He answered all my questions in layman’s terms, which I understood very clearly." Betty B. "We were impressed with the flow and the wait times were impressive. I loved Dr.Staman’s good bye, ‘have a blessed day!’" Eleanor R.
"Thank you for all your concerns, respect, and love." Meesle B. "Lucky me for having a family physician who knew Dr. Staman and I was able to exit your front door as a happy satisfied patient. And thank you to all your employees for their smiling faces. They mean a lot to so many." Phyllis B. "Scared spitless when walked in. left feeling at ease and confident. Most Wonderful." Alfreda E.
"Enjoy coming. Dr. James Staman is a great doctor. I would tell anyone to come here. I love him. It’s not about money it’s about care for his patients." Earnestine B. "They were very kind to me and service was very good. Also, the best. I say thank you to them all that work there. Love them all." Edward G.
"All the staff was wonderful. I was terrified and he was very kind and reassuring. I freak out when anyone gets near my eyes. I was a horrible patient and I apologize, but everyone was so compassionate." Lyndan M.
"I appreciated an appointment within 24 hours of my call to your office. I had an emergency situation and you fit me in. Thank you." Roseanne C.
"This was an emergency situation. Office staff was supportive - we really appreciate the care my husband was given. Thank you." Steve R.
"Staff very nice and friendly. Office very clean. Best doctor office weve been in a long time." Richard K.
"Very nice, professional, friendly, clean office, timely, sanitary, and well explained. Pleasant experience." "Happy to be new patient of Florida Retina Institute and Dr. James Staman." Irancel R.
"During my visit the entire staff was professional and personable. I was very pleased." Ernestine J. "Natasha was kind and helpful. She even came around the desk to bring me the papers I needed to fill out. No one has ever done that. Ashley was patient and took time to explain tests and answer questions. The doctor was relaxed and encouraging. He answered every question thoroughly. The technician was very informative and knowledgeable." Cynde M.
"Very thorough and insightful. Friendly and polite with a personal touch that sets great physicians apart. Genuine concern was evident immediately and I was able to get in with no wait time. I highly recommend this physician. He seemed to have a great rapport with his staff and that always makes me believe they are a family instead of an office full of employees that only tolerate each other." Franklin T.
"A real "take charge " Doctor. Great attitude and hard worker. I feel everything is under control when I get to the office and he finally takes me in." James M.
"Everyone was very nice and helpful." Maxie C.
"I was very thankful the staff and doctor could work me in the same afternoon that my eye doctor’s office called. Thank you again!" Tonja B. "The staff were very courteous. I thought I had a detached retina and the staff worked me in on the same day. I did not have a detached retina but the stress of not knowing is very stressful. The fact that the staff actually listened to me and got me in to the doctor was very nice. Also, all the staff was courteous, friendly, and knowledgeable." Ron Q. A Very Special Thank You! "Thank you Dr. Staman and all of your staff! Jacky B." "Outstanding experience! Don't change a thing!" Alexander D. Patient of Dr. James Staman from Fernandina Beach. Shirley B. Love’s Dr. Staman and thanks him for 30 years of care for her! "Dr. Staman and Staff, I appreciate my eye treatment and I can see better. Keep up the good work." Robert B. "I was very nervous upon arriving, but was put at ease by the friendly reassuring staff and physician." Please accept my sincerest gratitude and appreciation for your professional extension of medical expertise and kindness during my recent eye emergency. I never dreamed that my left eye would let me down in such fashion! Thank the dear Lord for the trained and skilled hands at the Florida Retina Institute. I am forever grateful. God Bless. 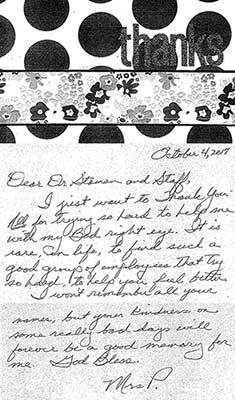 Sincerely, Kate K."
"Everyone was so nice and pleasant, thanks for being so caring, Dr. Staman. Anna S."
Thanks for another good report on my eyes. It's been almost 12 years since the four detachments in late 2003 - 2004, and each year since I have thoroughly enjoyed hearing your "all clear" report. Jim, please feel free to share this letter with your staff, and please pass along my sincere compliments. My best wishes to you, your family and your staff for wonderful holidays. See you in a year! Very truly yours, John K.A." "Very good exam and I am glad to have had the procedure." J. B. "Staff and clinic are the best, thanks!" Charles E.
"Office was very clean, fresh coffee, staff and doctors were Great." Rose H.
"I could not ask for better care. The staff that worked with me were excellent. Denise, Chanelle, and the doctor were so professional, but very kind also. Love you guys." Darlene S.
"It was a pleasurable experience…especially when you get greats news!!" Tammy M.
"Dr. Staman and his staff were great. Was in and out on time. He was able to answer all of my questions. His staff were friendly and professional." Bill C.
"A very nice experience for my mother and I. Appreciated being able to ask many questions." Wynelle J. "It is not common to have a visit at 5:00 p.m. and the whole office accept the late departure - your kindness to Julie means a lot to her willingness to return- she makes first impressions fast. Thank you!" Julie M.
"Was very pleased with the doctor and staff. Everyone was very professional. We will refer your institute to anyone that needs a retina doctor. Thank you all very much." Thomas F.
"The staff was very polite and made me feel very comfortable." Winona W.
"I can not think about anything wrong with my excellent time there. They were great!" Dawn W.
"All staff: friendly and professional. Thorough, knowledgeable, polite, great rapport. Dr. Staman: patient, answered all questions-excellent exam!" Barbara L.
"My 1st visit to FL. Retina Institute. Location nice. The atmosphere. Personable staff, Doctor, all very informative. Keep up the good work! Thanks." Jessie W.
"The ones that stand out are Brenda and Denise, they made me feel so comfortable. So pleasant and calm to be around. Added thank you to Brenda for being so clean-loved it. I felt safe - The biggest thank you is for Dr. Jonathan Staman. I can still see - Hugs to all." Barnara B. "Very good experience all around. Everyone was professional and easy to talk with." Jim R.
"This was an excellent first visit! It was pleasant to visit an office where everyone was pleasant, helpful, and knowledgeable!! And efficient!!" Jerry T.
"Great place to have your eye care done. Everyone make you feel welcome and at ease." Dennis M.
"The staff is absolutely wonderful to deal with. Everyone has a good personality and I have told all my friends and co-workers how good you all are." David G.
"Thank you everyone! Natasha is wonderful in her job as are all the ladies I worked with. Thank you to my great doctor and staff!" Gerry H.
"I am very appreciative of the outstanding care I received. I was an emergency work in as a new patient. I knew the appointment would be lengthy." Nancy B. "Dr. Staman and the staff at the Palm Coast location were very professional and extremely compassionate with my condition. I had no idea what exams, tests, or procedures were going to be done. Dr. Staman explained everything to me in terms of me having no medical background. Throughout the appointment, the staff repeated each procedure and always asked how I was doing. My husband, who accompanied me, was continually informed and invited in to hear Dr. Staman's diagnosis of the tests. Thank you!" Diane L.
"Dr. Staman was very professional in every aspect of my office visit. His examination was comprehensive and he put me at ease during the process. After the examination, he explained the tests and test results in terminology that I understood. He gave me ample opportunity to ask questions during my visit. It is without hesitation that I offer my highest recommendation." Ed P.
"Denise-the most compassionate assistant ever! I had/have anxiety regarding shots. She is calming with me and my situation. Totally relaxes me. I hope she will forever be Doc’s assistant. By the way he is great!" Priscilla C.
"Excellent service, top notch professionals!" Richard F.
"Everyone was so nice. I am so pleased my Doctor scheduled you for me." 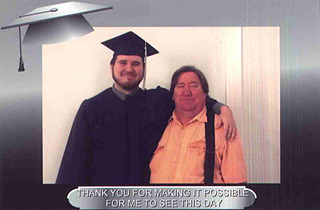 Walter F.
"Thank you for making it possible for me to see this day!" Donald F.
I am writing this letter on behalf of your professional and unique services that were performed as a result of a detached retina. The reason I express unique, if it makes sense, is the way the procedure was handled and how the miracle was performed. I had no idea that inserting a gas bubble into my eye would save me from total blindness. I want to thank you so very much, for this saved me from much pain and misery. I can only imagine the intense education and training you received to be able to operate on one of the most precious parts of the body “the eyes”. The way modern technolocy has advanced through the years. Again, thank you very much! Sincerely, Stephen G."
"He was ADORABLE! Very good conversationalist, very thorough, and explained all in a manner an old lady like me could understand!" Anne H.
"Was very pleased with this office doctor and staff." Maryann C.
"We were very impressed with Dr. Thomas and whole staff." Maxey S.
"I was very impressed from my first appointment - thru my surgery and post op visit. I saw Dr. Thomas at 3 different facilities and all were wonderful." Nancy S.
"Top-notch treatment- thank you." Jim H.
"I can honestly say this is the 1st time I saw a doctor and my blood pressure was not high. Everyone was well mannered, informative, and caring. I will recommend them highly to anyone." Nancy M.
"This was a wonderful experience even though not good circumstances. I had an uncomfortable, but I was made to feel comfortable. Please let the staff that did my eye angiogram know they did a fine job." Debra S.
"All personnel was very gracious and professional." Grady C.
"I was very impressed with all the staff. Dr. Thomas did a thorough eye exam and examination." Linda L.
"Dr. Thomas was very clear about his plan for my eyes. I was most impressed." James O. "I felt good about my visit, everyone treated me very well and talked about what to expect." "Dr. Thomas fit us into his busy schedule after 5:00 in the afternoon. If he was in Atlanta I would change doctors to be in his care." Barbara G.
"Everyone was very kind. Dr. Thomas showed me the damage in my eyes. Now I have a better understanding as to what is going on with my eyes. Wish I had been coming to him from the beginning." Patricia M.
"I was very impressed as to how you all treated my mother on her first visit to your office. Thank you very much." 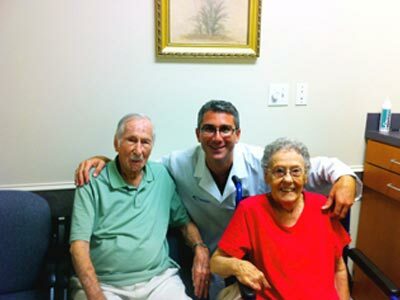 Edna G.
"Dr. Thomas did an excellent job explaining the problem with my eye. I am so grateful for his professionalism and knowledge of the treatment for my condition." Sandra R.
"I cannot say enough about the exceptional care of Dr. Thomas and staff. Beginning with Ms. Deborah at desk upon our arrival. Thank you for your kindness and great care at my first visit. We have more visits to come but I am very confident in the staff and Dr. Thomas." Sherri R.
"Awesome experience. Everyone was very polite and positive. Very nice office and staff and doctor." Susan B. "Dr. Thomas gave me options to decide the direction of my care. That’s great!!" Chuck C.
"Enjoyed the cheerfulness of the entire staff." Gene L.
"Doctor was very attentive to my needs and explained medical problem very well." Linda C.
"Everyone was kind and helpful. Very professional staff, they all introduced themselves and smiled. They all seem that they enjoy their jobs. Dr. Thomas was great, calm and thorough exam." John S.
"1st New Patient visit. Staff made sure you understood each phase of testing. Showed concern and respect to patient, everyone was friendly, courteous and professional. Thanks for your proficiency." Lou K.
"Dr. Thomas was absolutely amazing! I wish all doctors could be as kind and caring as he was – and thorough." Kingston D.
"Was impressed with knowledge and expertise of staff. Explaining ways to make patient confident an comfortable to new staff members." Roger T.
"I enjoyed the visit from start to finish. Everything was highly professional." Travis R.